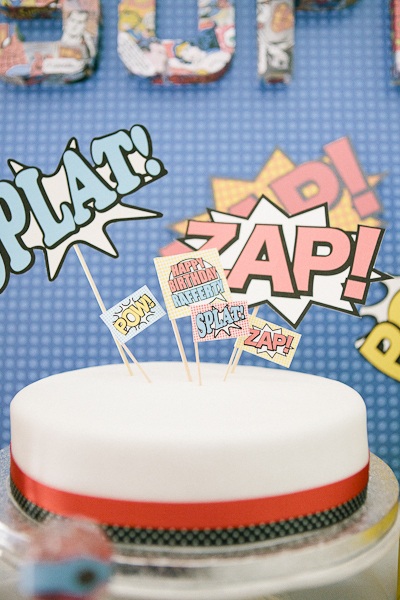 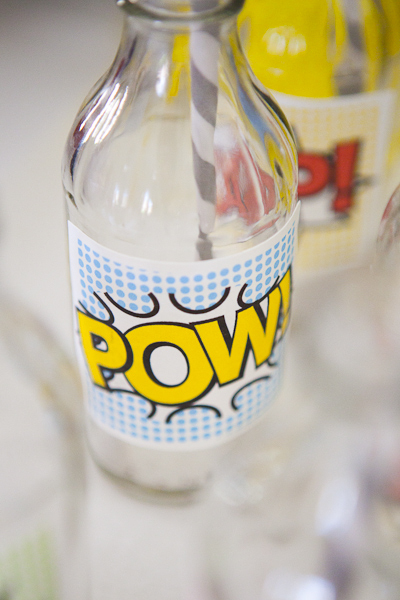 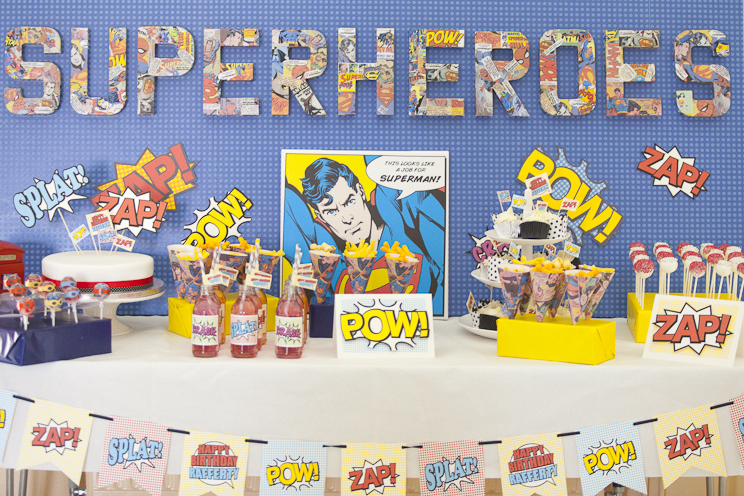 Superman, Spiderman, Wonderwoman were just some of the little Superheroes that attended this exciting party. 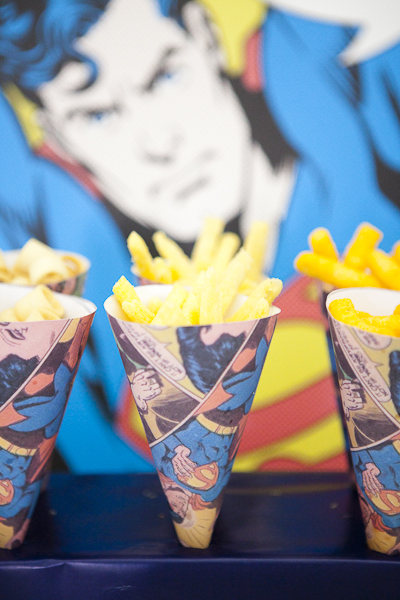 Claire Long the Creative Director of Purely Events worked her magic producing an amazing themed food table with little decoupaged cones filled with salt and vinegar chips, Lolly’s with their own superhero coats and masks as well as a superhero signage to make the table look absolutely fabulous. 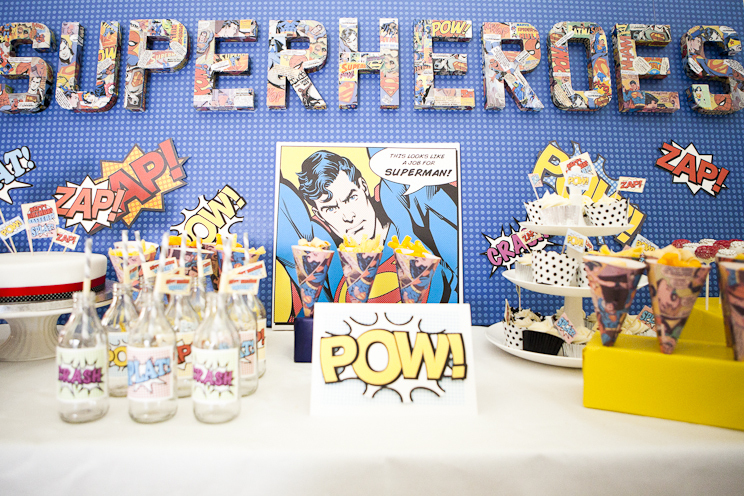 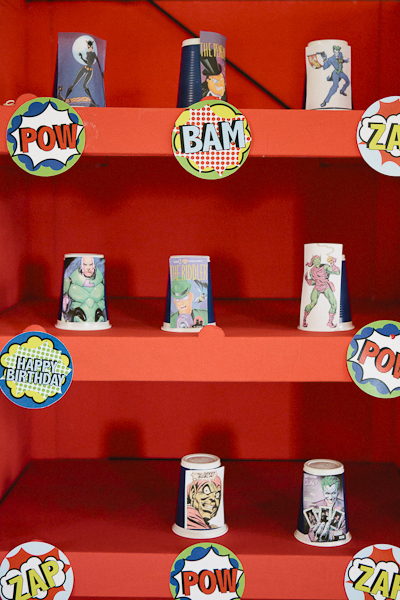 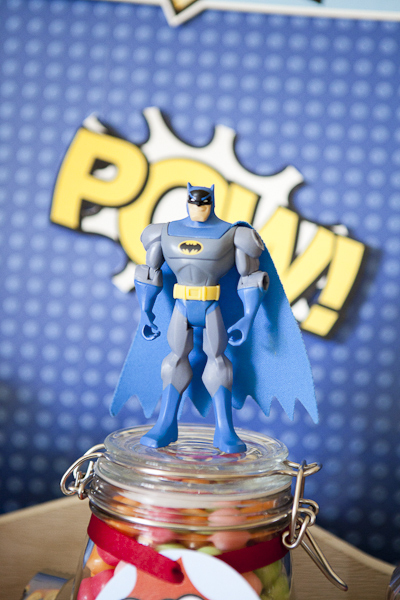 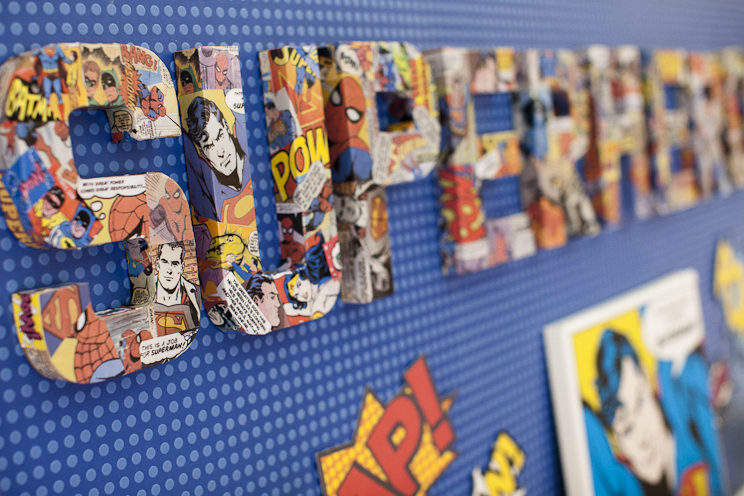 The backdrop for the table was a cleverly designed MDF board with blue textured wallpaper and the name ‘Superheroes’ written on the back each letter was decoupaged with old superhero comics. 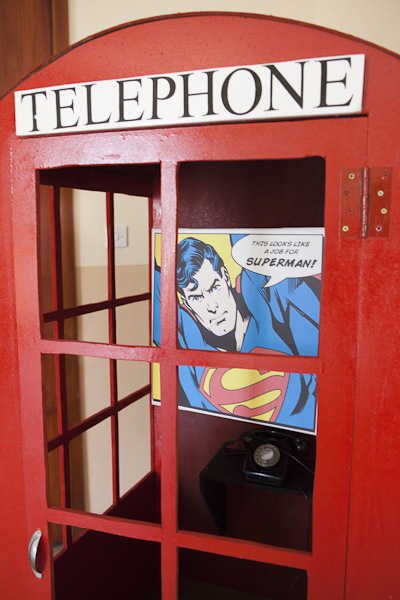 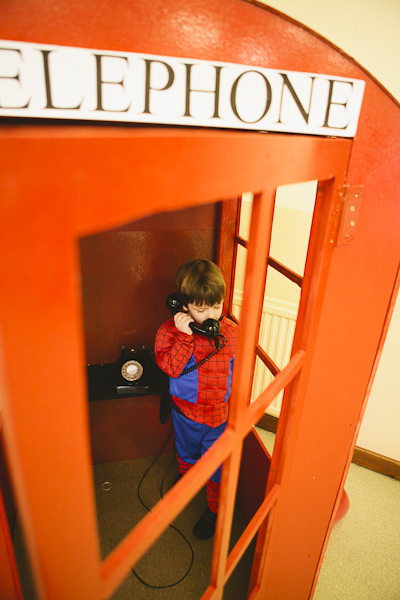 We also created a telephone box as a prop for the photo booth area for the kids to change from being Clarke Kent to Superman. 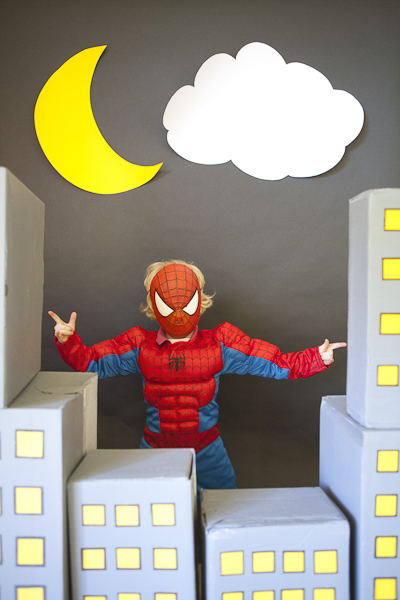 Then a New York skyline was created for the photos with superhero props and signs for the kids to hold. 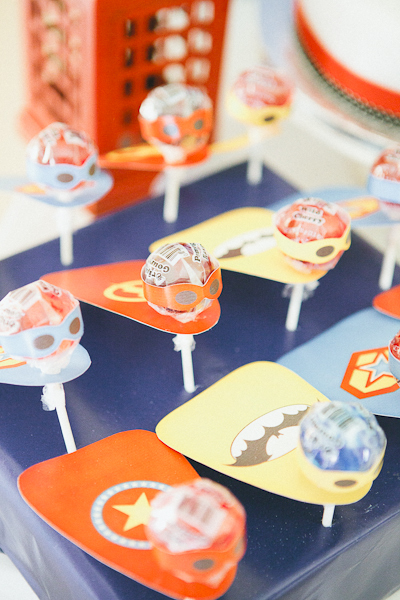 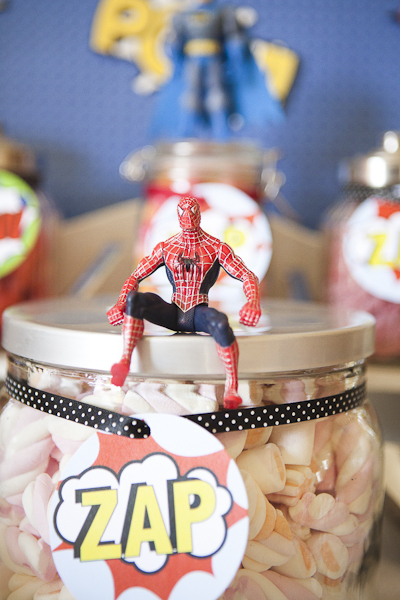 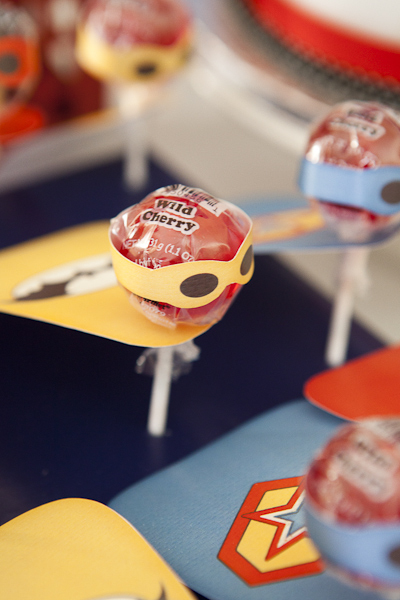 There was even a Superhero Sweetie table which matched the food table. 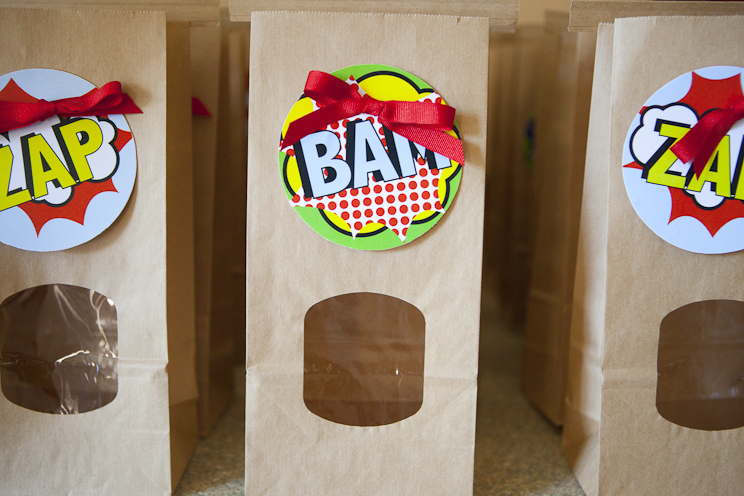 All the children got to help themselves to the sweets and take home a bag for themselves. 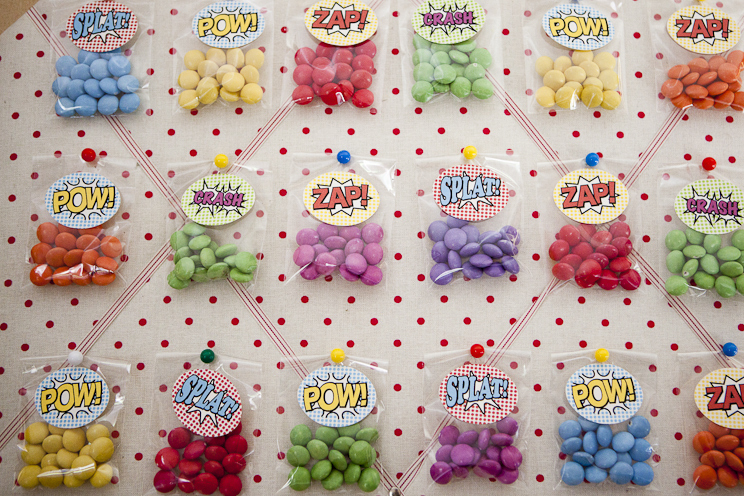 All the children got to choose their own sweets and take them home in a sweetie bag. 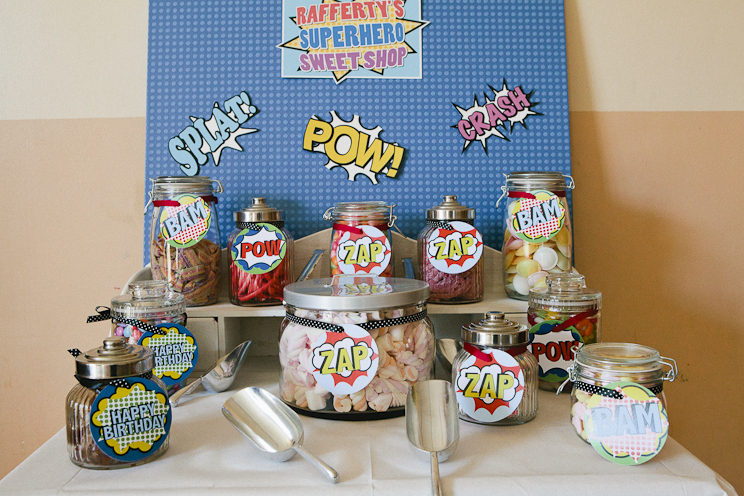 For the kids entertainment they got to shoot their ray guns at the ‘baddies’ and each little superhero won a packet of sweeties from the beautifully designed prize board. 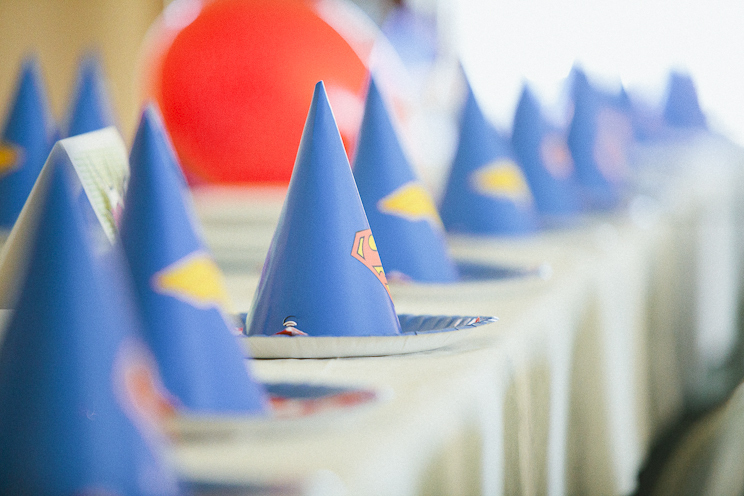 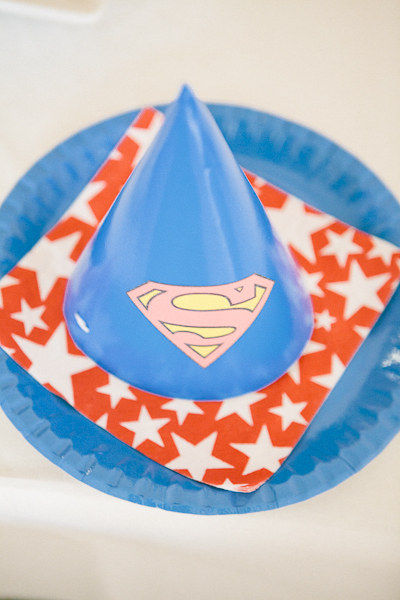 The Superheroes had a fabulous decorated table to eat their food from and each child got their own superhero hat. 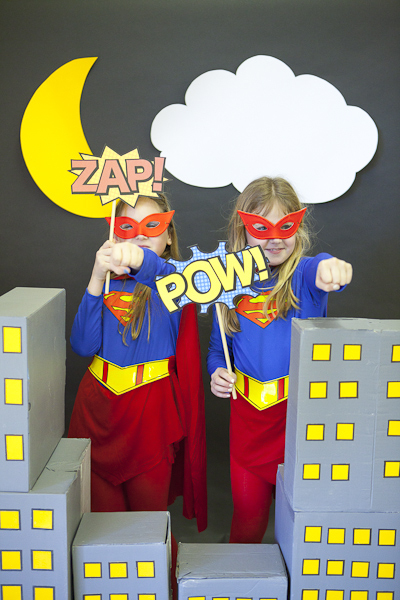 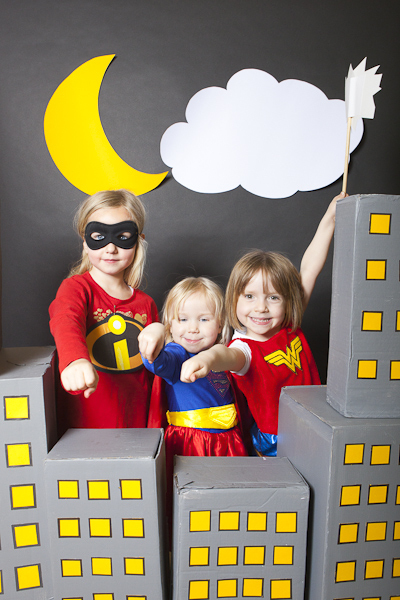 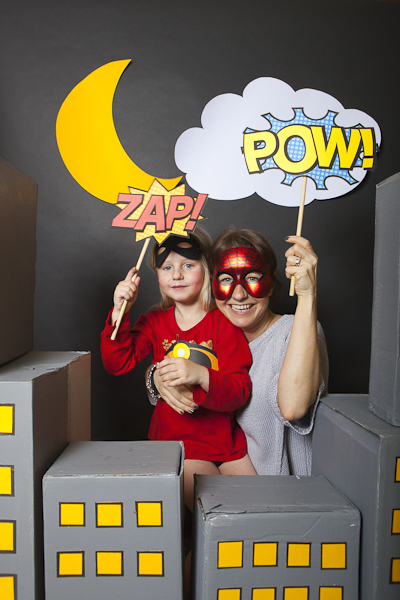 What 4 year old wouldn’t be crazy about a real life Superhero photo booth area complete with signs and props. 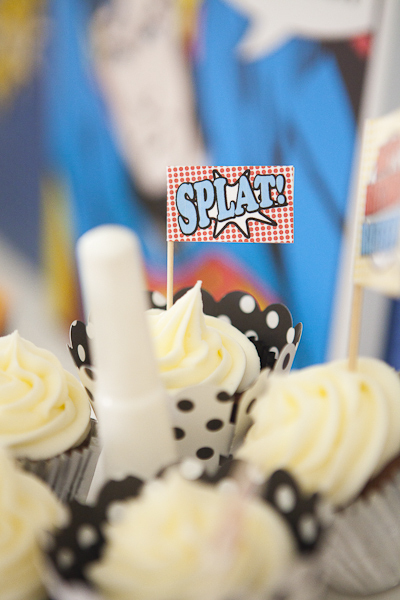 A visually delicious party and fun had by all.